Invite children to join in this fun activity by cutting out the clothes and glueing on to the frame. 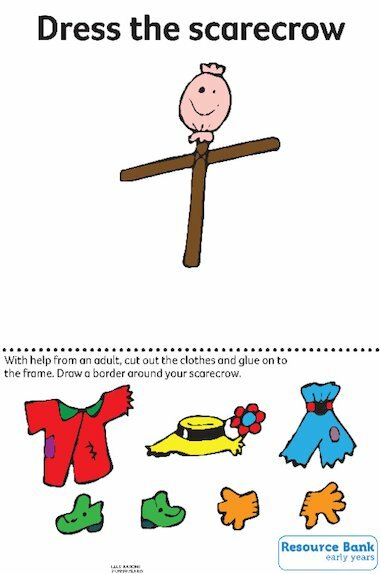 Then, draw a border around the scarecrow. There is also a black and white version of this activity sheet available. I find this TOO difficult for the children to cut by themselves!